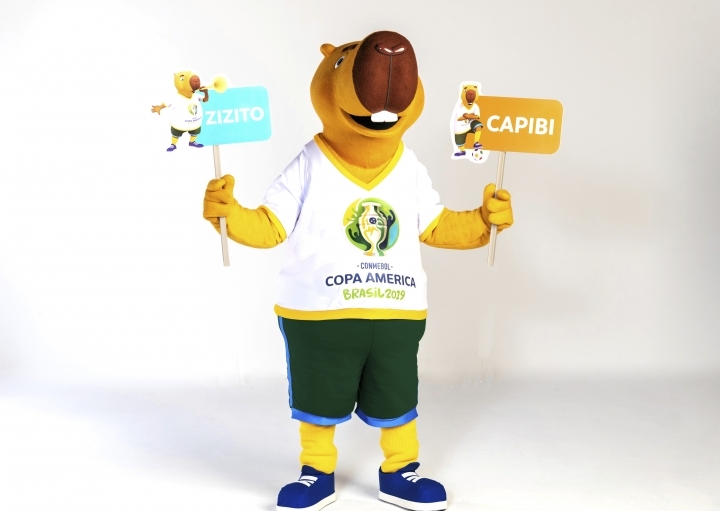 RIO DE JANEIRO — Fans have chosen Zizito as the name of the capybara mascot for this year's Copa America in Brazil. The name pays tribute to former Brazil star Zizinho, one of Pele's childhood idols, tournament organizers said on Friday. Zizinho scored 17 Copa American goals, tied for most in tournament history with Argentina's Norberto Mendez. He died in 2002 at the age of 80. Zizito received 65 percent of votes on social media to beat out Capibi, a mix of the words for capybara and land in the Tupi language. Organizing committee general manager Thiago Jannuzzi said the capybara was chosen as the mascot because the big rodent is friendly with all other animals. The Copa American will be played June 14 to July 7.